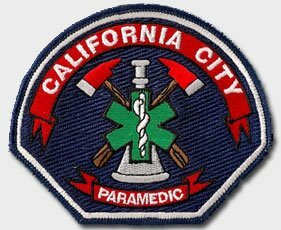 The California City Fire Department paramedic program was established in 1999 to bring superior emergency medical care to our community. California City Fire Department is the first fire department within Kern County to offer 24 hour firefighter/paramedic advance life support services. Firefighter/paramedics provide the most comprehensive coverage and medical care available to our city and visitors. California City firefighter/paramedics have specialized training in auto extrication, hazardous materials mitigation, technical rescue, and all aspects of fire prevention and suppression delivery. Firefighter/paramedics are able to deliver prompt care in all given situations. Additionally, there are fire suppression personnel that are trained to the level of Emergency Medical Technician to assist the firefighter/ paramedics.